Before you leave the hospital, show your ticket and concession card at Reception. Northern Health also offers concession parking rates for individuals who can demonstrate financial hardship. Talk to your healthcare team at the hospital or contact the Social Work department for more information. Disabled parking bays are available at the front of our car park. Drop off points are available at the main entrance . Should you require, wheelchairs can be borrowed from Reception. 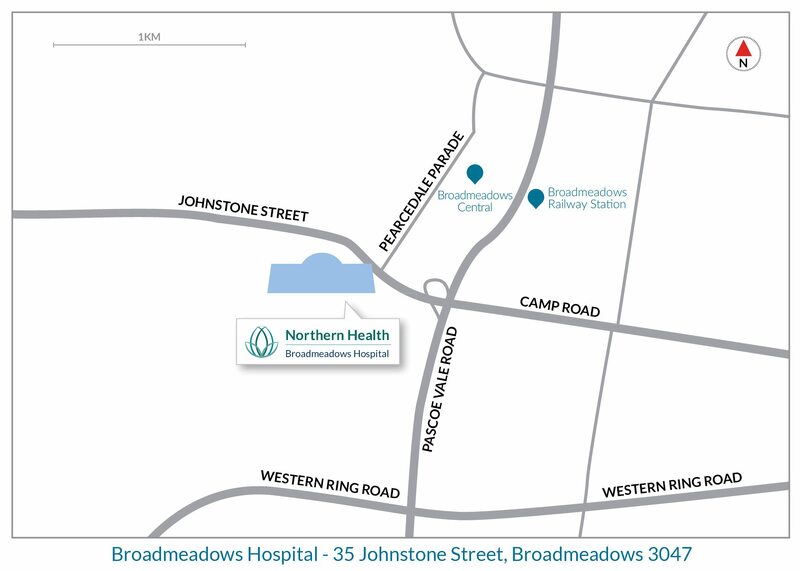 Bus Routes: 484, 901, and 902 stop out the front of Broadmeadows Hospital. Train: Broadmeadows Train station – Craigieburn Line. Approx. ten minute walk.